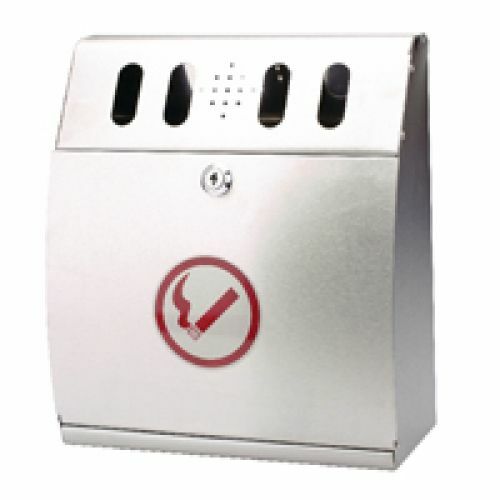 Take care of cigarette butts and tidy up entrance and smoking areas with a Sterling Steel Wall Mounted Ash Bin. 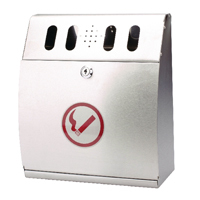 It features a curved cover for clean ash disposal and a non-flammable steel construction. The drawer underneath makes it easy to empty out the waste and features a lock to secure against unauthorised tampering. This bin is designed to be wall mounted and includes a kit for easy installation.